Google Maps may soon have a new useful feature: Google is currently testing a reporting feature that allows users to warn each other about traps and incidents. 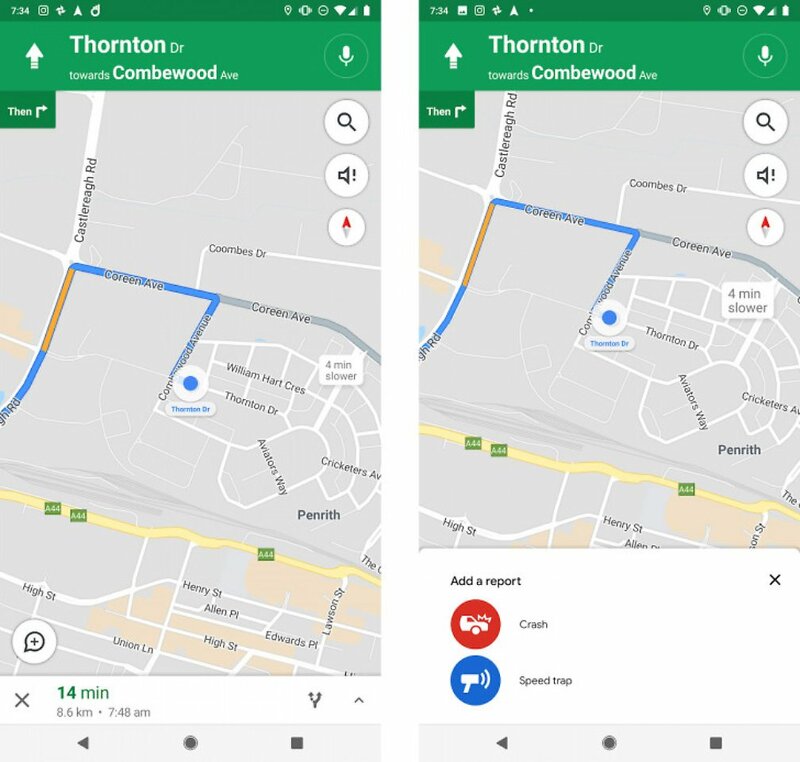 The days when you needed a car in the car to get safely from A to B, have long been finished, many now rely on the route calculation of their map app, especially on Google Maps. The app has useful features for drivers, such as displaying traffic information and real-time congestion alerts. Soon another useful feature could be added. Google is currently testing a feature that allows map users to report abnormal crashes and safety cameras directly to the app, including "Cachy's Blog". The information will be immediately displayed to all other users. Because the feature is being tested, it is currently only available for a limited number of users. According to "Androidpolice" there were already a few months ago the first indication that Google wants to introduce the reporting function. In a discussion at Reddit, Australian Maps users are now reporting that they can report speed traps and incidents in the app. So far, the function is only available if you use map navigation. Then a small bubble icon appears at the bottom left of the screen. A suggestion will open the function of the message. If you exceed an already registered speed camera, Maps will ask users if the information is still up to date. The reporting function is part of the Waze navigation app function package, which uses user community information for its destination guidance. Users of Waze can inform each other about accidents, traffic jams and speed cameras, damage to roads or low-cost service stations. Google took over the service in 2013, but its functionality has not been integrated into Maps so far. When and if Google unblocks flash messages for all Maps users, it's not safe at the moment.